Life is a pleasant journey which never ends until we stop breathing. During the journey, we learn new things and forget the older ones. Year comes and leaves... never waits! It's time to say 'Bye' to 2017 and welcome the new year 2018. May the new year bring new hopes, new aspirations, new joys and and new successes in your life's journey. 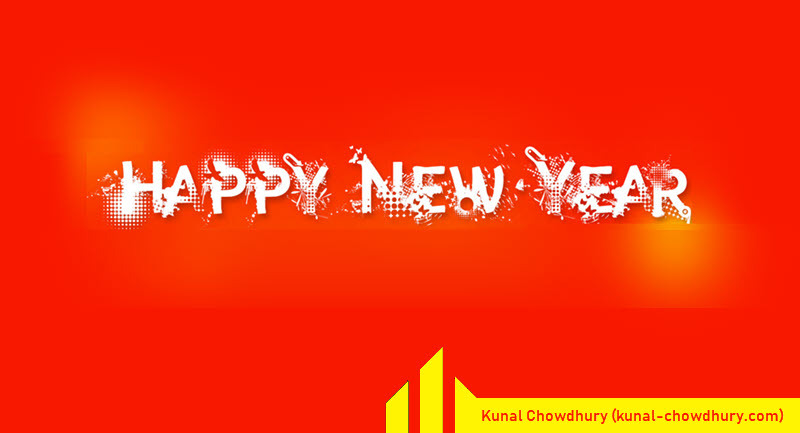 Wish you and your family a very happy and prosperous new year! Last year, I wrote around 130 articles on my blog, delivered speeches on various events, published a book 'Mastering Visual Studio 2017' and the other one in the queue. And finally the year is ending with love, happiness and all your support, having 8 millions hit on my blog in the year 2017, almost double of the year 2016. Thank you everyone for your support and feedback through out the year. who hated me, because they made me a stronger person. who loved me, because they made my heart bigger. who were worried about me, because they let me know that they cared about me. who left me, because they made me realize that nothing lasts forever. who entered my life and never left, because they made me know who I am. And my special thanks to my wife and my parents; who supported me throughout the year 2017. On public request, I have published the statistics of this site. If you have any queries, or would like to connect with me, please feel free to reach me at: webmaster AT kunal-chowdhury DOT com. If you have come this far, it means that you liked what you are reading (Wish you all a very Happy and Prosperous New Year 2018).